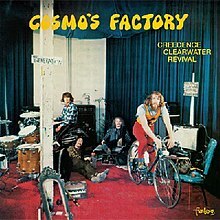 CREEDENCE CLEARWATER REVIVAL: COSMO’S FACTORY: 1970: 5 STARS OUT OF 5 STARS: The bands 5th album- most acclaimed album and the band at their peak. Travelin’ Band, Lookin’ Out My Back Door, As Long As I Can See The Light, Who’ll Stop The Rain and Up Around The Bend- all CCR classics. They do an 11 minute cover of I Heard It Through The Grapevine- which has never been a favorite. BRIAN WILSON: IN THE KEY OF DISNEY:2011: 2 1/2 STARS: The idea was to get Brian Wilson to do his versions of some Disney classics. A pleasant listen but nothing more than a curiosity for Wilson fans. 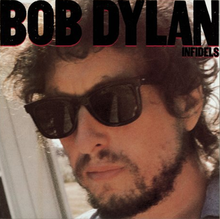 BOB DYLAN: INFIDELS: 1983: 4 1/2 STARS OUT OF 5 STARS: 1983: The 1980’s -especially the mid to late 80’s were the low point of Bob Dylan’s long career. Infidels though was a bright spot- my favorite Bob 1980’s album. After three albums featuring his religious song he hasn’t totally abandoned it but it feels like he has. Favorite cuts- Jokerman [ a great video was made of this one} Neighborhood Bully, Man Of Peace, Licence To Kill and I and I. Mark Knofler of Dire Straits was the producer on this. 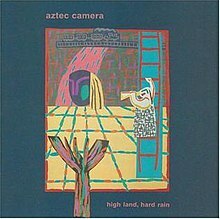 AZTEC CAMERA: HIGH LAND, HARD RAIN: 1983: 5 STARS OUT OF 5 STARS: Roddy Frame was still a teenager when he wrote this album. Every song on this album he played a different guitar on. This is a perfect pop album. I have loved it since it came out. Frame has never quite reached such heights again. Favorites- everything- again this is a perfect pop album. I highly recommend it. Infidels – Neighborhood Bully, Union Sundown, Sweetheart Like you…basically most of the album.